During Learn2Live presentations, we introduce ‘SAFE Plans’ as a means of reducing your risk. A ‘SAFE Plan’ can be any planned form of action that stops a small risk from becoming a bigger risk. Take some time now to think about simple, practical steps that you can take to get out of risky situations. For example, simply carrying some emergency cash for a taxi home, making sure you have phone numbers of local taxi firms already stored in your mobile, and having an arrangement with your parents/guardians so that they you can easily let them know when you need help getting out of a potentially dangerous situation. We would like you to revisit and build on this strategy. One specific way of using a ‘SAFE Plan’, when you are in an uncomfortable situation with others, is by adopting the acronym below. By using the prompts on this plan it can help you to speak up and get out. When using the acronym what you say, and how you challenge risky behaviour, increases in intensity and directness. Initially saying something funny can be a subtle and lighthearted way of encouraging friends to take on board your concerns and adopt a safer behaviour without you losing face or challenging them directly. If this does not work then a more direct approach of asking them to stop can be adopted. If they still persist with their risky behaviour make it clear that their actions are making you feel uncomfortable. The final stage is to make sure you get out of the risky situation as safely as possible by insisting that you wish to exit. We recommend that you use this to think about your own ‘SAFE Plans’ and understand that you need to move straight to the final stage of the plan (Exit) if the situation is too risky. We are encouraging all students to have a general agreement that everyone in their social group will use and support each other’s ‘SAFE Plans’. Anyone can download the SAFE PLAN poster from the link in the top right hand corner of this page. Share it with you friends and family and help us to keep everyone safe. 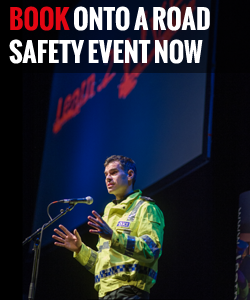 The ‘SAFE plan’ concept was originally devised by the Greater Manchester ‘Safe Drive Stay Alive’ team who worked with Dr Fiona Fylan to develop a suite of resources designed to keep young people safe on the roads. We are grateful to Greater Manchester for allowing us to adopt the ‘SAFE plan’.